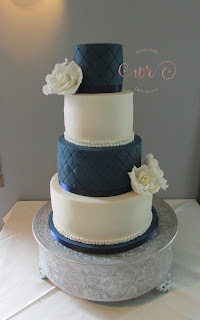 I was contacted by my beautiful bride well over a year ago to book this cake in. 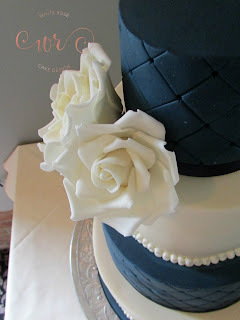 She had seen a design by Ben the Cake Man (www.benthecakeman.co.uk) and wanted me to recreate it, so I had a go! Featuring our signature sugar roses, this cake consisted of rich fruit cake, chocolate and Baileys, vanilla and another rich fruit cake tier. 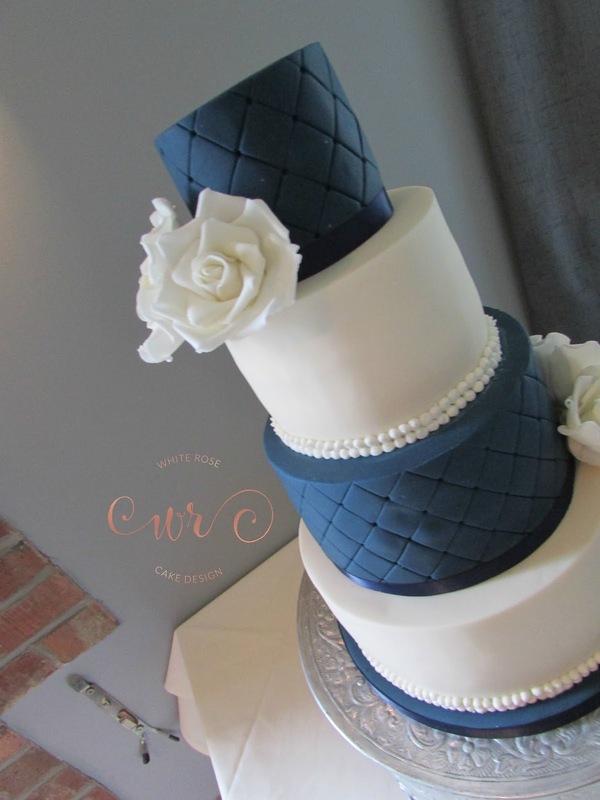 Delicately iced in navy with a quilted design and ivory icing, this cake made a stunning centrepiece. We delivered it to the Huntsman Inn in Holmfirth.